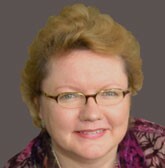 GET THE LOOK OF A BEST-SELLING AUTHOR… IN 8 MINUTES! 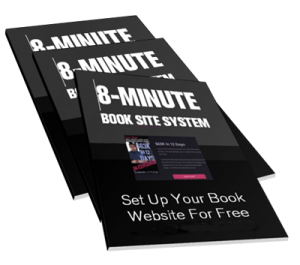 Give me 8 Minutes and I’ll Show You How to Set Up Your Book Website at No Cost! No, it isn’t WordPress and you don’t have to know a bit of HTML! I’ll show you how to set up a website for your book or EACH of your books in less time than it takes to eat a submarine sandwich. Oh, and ditch the idea of hiring a sketchy web designer on Fiverr! That was sure to cause you grief! 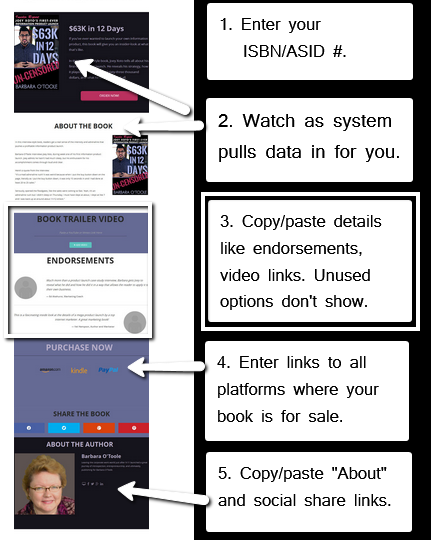 So, listen, if you act today, I’ll hook you up with the short PDF tutorial (offered below) that’ll have your book website set up before the PayPal receipt settles into your inbox! And the system we’re using to make this happen? It’s a totally free system for you! No cost at all! Let’s face it. We all know how engagement on Facebook is pretty-much limited to the groups. Groups are limited by their admins. So putting your book links out on Facebook just doesn’t work as well as it once did. And do you know that any of the other social sites are any better? They’ve all got advertising going now. You’ve just got to have your own book website as the “hub” for your book marketing! You include your BUY BUTTONS for iTunes, iBooks, Smashwords,Kindle, CreateSpace, Lulu, Scribd, Nook, and MORE, wherever you have your books for sale online. Look like an author rockstar with a professionally polished site. There’s no limit to the number of sites you may set up! Gather your ISBN/ASIN numbers before lunch and all your book pages are created before dinner! It’s that fast. 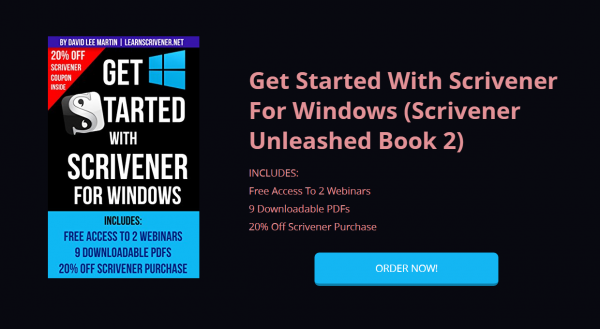 Create a book site for each book you have – there’ no limit! Best of all, it’s a one-pdf short tutorial product so as soon as you sign up today, you get it delivered to you instantly. 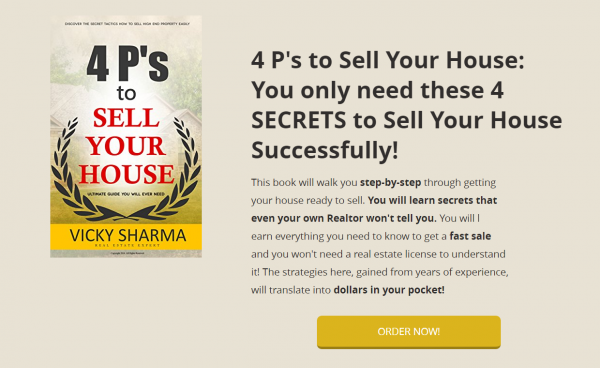 That means you’ll start selling your book from your website just minutes from now! 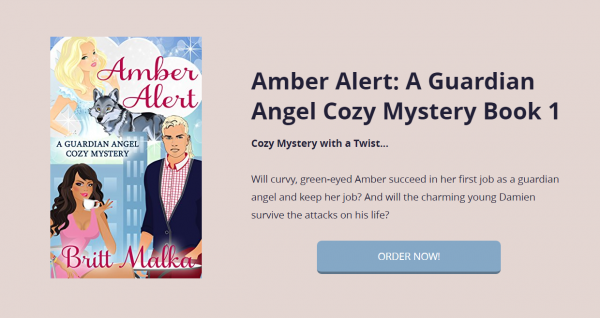 And it does these things while it analyzes the COLORS used in your book cover to deliver a pleasing, complementary palette for your new site! I told you that you’d look like a Rockstar. 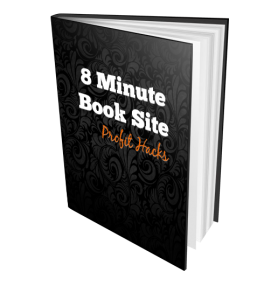 Since I just put the finishing touches on the “8-Minute Book Sites System,” I’m making this available as soon as possible. Pick it up right now to start selling your books from your new book site(s) today. If you don’t see your book website set up within minutes of entering your ISBN/ASIN number, or if for any reason you are not 100% satisfied, then simply contact me and I’ll return your entire payment to you quietly and without any question. You are protected with this guarantee for 30 days. HINT: You do need an ISBN or ASIN number to create a book site with this system. See Why You’ll Have it Done in 8 Minutes? P.S. Because of the nature of this information, we will honor a full money-back guarantee for the next 30 days! But when you consider there’s no additional cost for getting a book site set up, this should be a real no-brainer! So get it now, while it’s still fresh on your mind. P.P.S. This is a BIG CHUNK of your “author platform” and you’ve just taken care of it! Good job! See you on the best-seller list soon!